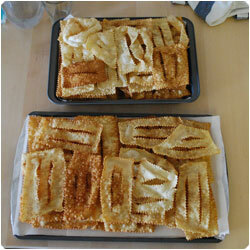 Chiacchiere are a traditional Italian sweet eaten during Carnevale (a month before Easter). 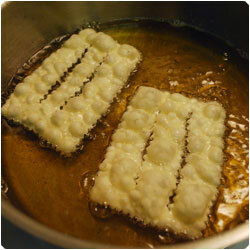 There are different names of this sweet depending on the region in Italy: where Fede is from they call them Chicchiere, but you can find them also as "Bugie", "Cenci", "Crosotoli", "Frappole", and many others! 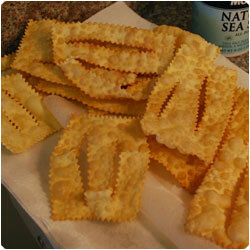 It's a perfect sweet for a party, even if you do half of the ingrediends you make a lot of chiacchiere and you need a lot of friends to eat them with. 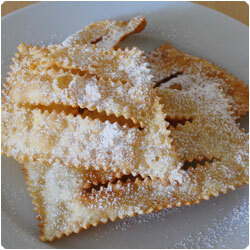 Kids are crazy about chiacchiere! 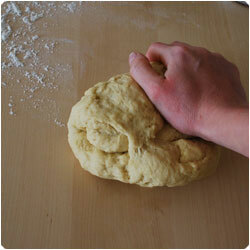 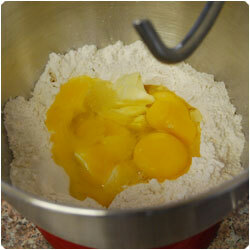 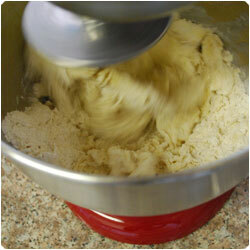 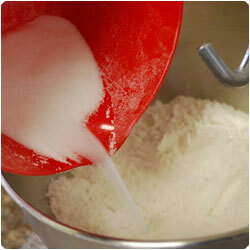 Then place the dough on a working surface and knead with your hands for 10 minutes. 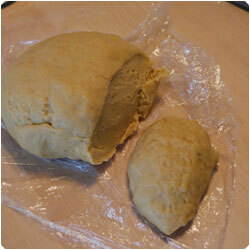 Form a ball and wrap it in plastic wrap. 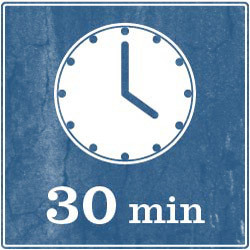 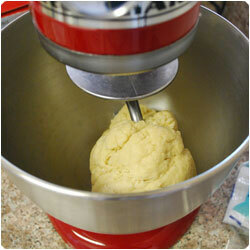 Wait 30 minutes before to use the dough, leave it rest at room temperature. 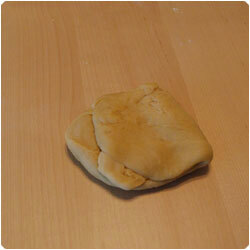 Unwrap the dough and cut s small piece. 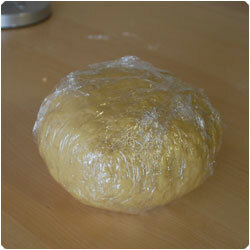 Wrap again the rest of the dough! 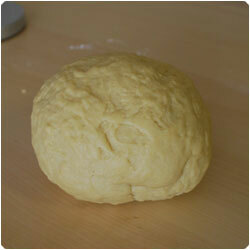 You don't want your dough to dry :-). 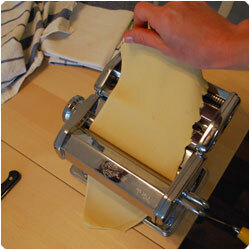 With a pasta machine roll the dough, folding it few times and roll it again for eac size. 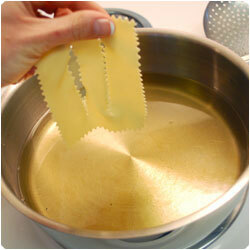 We make it really thin, from 1 to 8 sizes we stopped at 6. 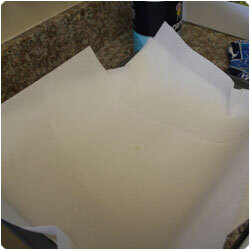 Leave the sheets on a tray over kitchen cloth. 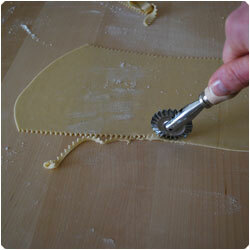 Once you have some of them start to cut them (We used a fluted cut wheel, but you can use also a regular knife). 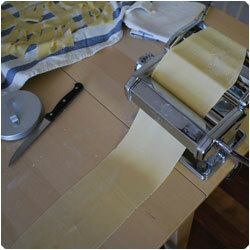 We cut also the borders. 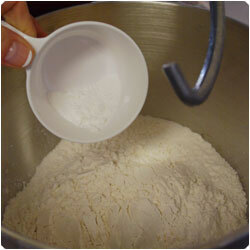 You can knead the dough you cut a second time to make new chiacchiere. 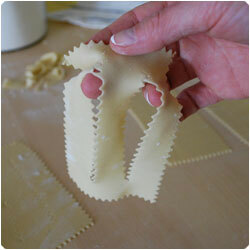 Cut them in rectangular 10x8cm (more or less, even smaller, they will bicome bigger when you fry them) and make two cuts in the center like in the pictures. 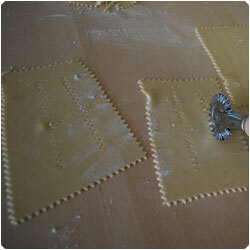 Open them with your fingers. 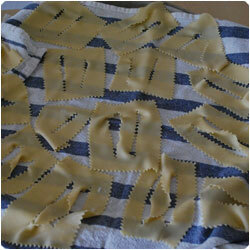 Leave the chiacchiere on a tray over kitchen cloth. 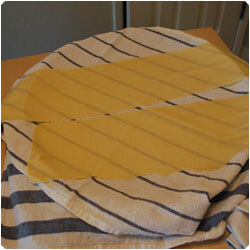 Once you have your chiacchiere done heat the oil and prepare a tray with some paper towels. 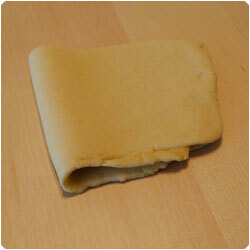 (you don't want your chicchiere to dry, so if you are alone, you migh want to do half of the dough, fry it and then do the second half). 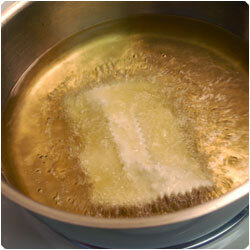 The oil doesn't have to be to hot, in some website we found around 180°C (350F), but we didn't have a termometer so we started to heat the oil and we fried small pieces of dough to check if it was hot enough. 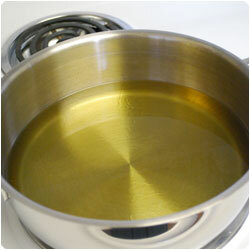 If they start to get bownish in few seconds, the oil is too hot. 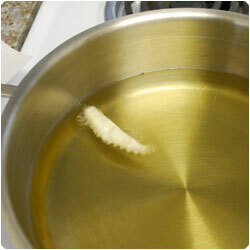 Just put the heat lower (you can also take out the pot from the heat some time) and try later. 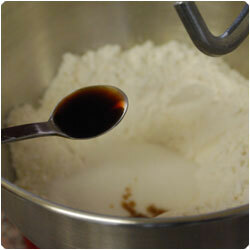 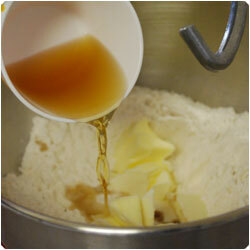 The dough should blow up in the second you put it in the oil. 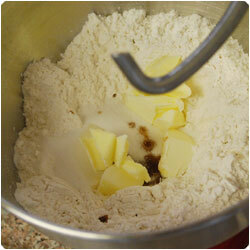 Small balls will form on the chiacchiere, the bigger the merrier. 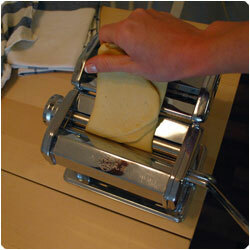 Quickly flip the chiacchiere and let them cook on the other side. 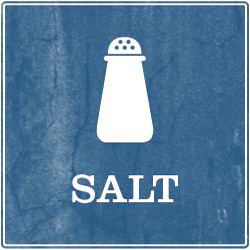 The color you want is the one showed in the picture, not darker! 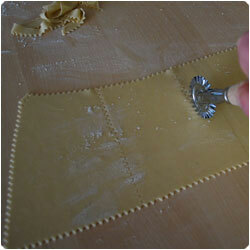 The chiacchiere need 4 to 5 second each side to be ready. 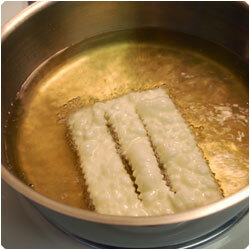 Let them rest on a paper towel to dry the extra oil. 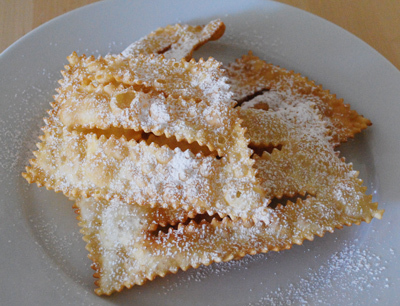 With this recipe you will make tons of chiacchiere, be sure to have enough friends to share them with :-) Serve them cold sprinkled with powder sugar.